Good-quality free streaming movies sites are hard to find. View Lorium has a wide array of independent and great movies that you could watch online for free. One of the many movies in their list is a science-fiction horror film called Alien Abduction. Released in 2005, Alien Abduction was distributed by The Asylum. Directed and Written by Eric Forsberg, the film was released with the tagline: “The war of the worlds has just begun!”, referencing the 1898 novel The War of the Worlds by H.G. Wells. When a group of teenagers went on a camping trip to spend a night of drinking and hanging out, a light appears from above and the unfortunate happened. Trying to put together what was happening, all five are suddenly abducted by a UFO. They wake up in a cell on the ship and eventually rounded up and pushed into a room where they are tied down and vivisected. The kind of horror the group faces haunts them till they get back to Earth. Hospitalized, tested and electric shocked, the members of the group try to recall episodes and flashbacks of the abduction. 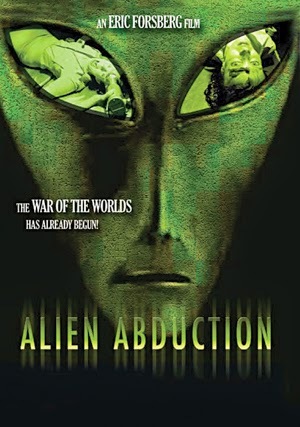 To watch Alien Abduction for free, visit ViewLorium.com.